Duvet cover. 88" x 96". Viscose/polyester. Machine wash. Made in Italy. Bird and floral-print sham with self flat flange. Linen/cotton. Dry clean. 20" x 26". Made in the USA of imported materials. 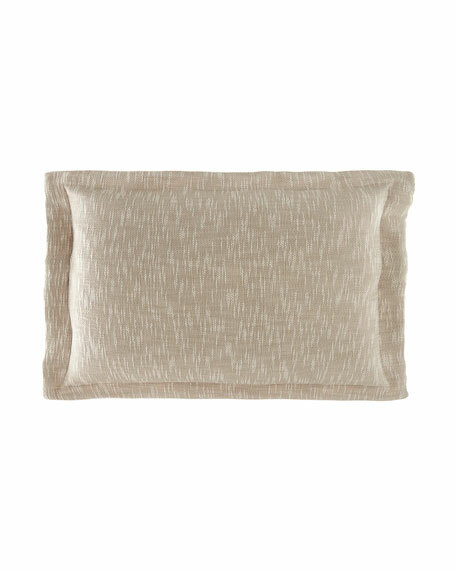 EXCLUSIVELY AT NEIMAN MARCUS Linen sham. Layered flange. 20" x 30". Dry clean. Imported. Floral-print sham with piping border and flange. 20" x 26". Cotton. Machine wash. Made in the USA of imported materials.